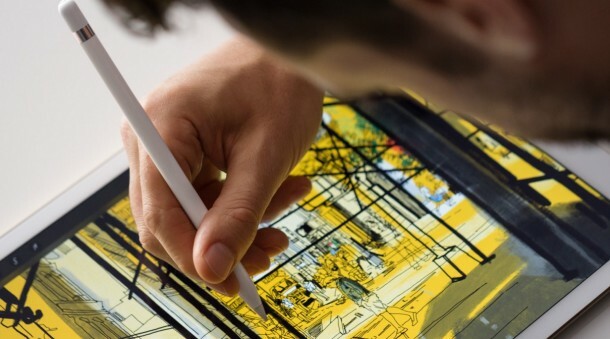 The Apple Pencil is proving to be a very popular accessory for the iPad Pro, and while the Apple Pencil gets great battery life and lasts a long time, there is no obvious hardware means of checking the level of battery life remaining of the Pencil. Not to worry, it turns out you can quickly get the battery life of the Apple Pencil stylus directly from Notification Center on the iPad Pro, and yes, this is the same battery menu that allows you to check connected Bluetooth devices and Apple Watch battery as well from an iPhone. Of course, since the Apple Pencil currently only works with select model iPads, only compatible iPad models like the iPad Pro will be able to check battery of Apple Pencil using this method. * If you don’t see the Batteries menu, you’ll need to enable it within Notification Center first. Back in Notification Center, scroll down and tap on the “Edit” button, then tap on the plus (+) sign next to the “Battery” option to enable the battery widget. 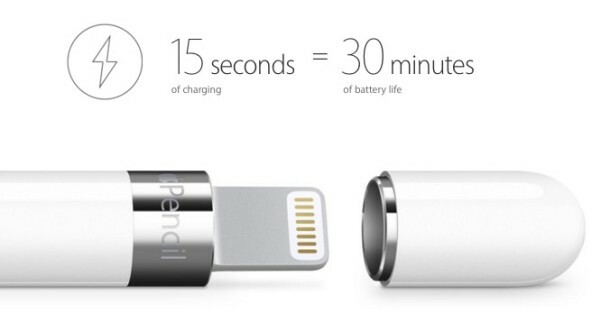 If the Apple Pencil battery life is low, just plug it into the lightning port for a minute or two. Even a brief 15 second attachment of charging will give the Apple Pencil 30 minutes of battery usage according to Apple, so you won’t need to keep it attached for too long to completely charge the Apple Pencil to full capacity. That’s all there is to it. Easy, but it’s a little limited that you can only check the Pencil battery from an iPad, and it’d nice to check battery life of all related devices from all related iOS notification centers. Perhaps that will be included in future iOS versions, but for now just rely on the notification center battery widget of the iPad itself. If you have an Apple Pencil and iPad Pro you’ll undoubtedly be using this one to see how long the battery will last! Maybe future versions will include a LED indicator on the Apple Pencil itself to show how much juice is left, who knows? Tip about checking Pencil battery status. On my iPad Pro I do not find the Apple Pencil battery information. I did get to work by deleting batteries in notifications and then adding them back in and bingo it popped up on the right-hand side. If you don’t have an Apple Pencil connected to the iPad Pro, you won’t find the Apple Pencil battery info. It’s in Notifications center, the Batteries section. After you sync Apple Pencil to iPad Pro then reboot the iPad Pro sometimes that makes it show up in Notification Center. Not helpful. I followed the instructions and do not see battery levels either for my ipad pro or the apple pencil. It’s a widget that’s not turned on by default. From your notifications panel, click ‘edit’ at the bottom. You can then add the batteries panel from the list of available widgets. Batteries widget is broken. No way left to check battery level of apple pencil. Now it just randomly dies at inconvenient times because no way to tell when it’s low on charge. Used to work with ipad pro no problem but now it quits when it feels like it. Apple can do better. Ask Siri if your pencil is charged. If it’s paired with your iPad she’ll tell you how much charge it has. If I haven’t used the pencil for a while, I have to turn iPad off & then back on for Siri to find it.